My daughter like myself prefers to wear French hooks over posts earrings. 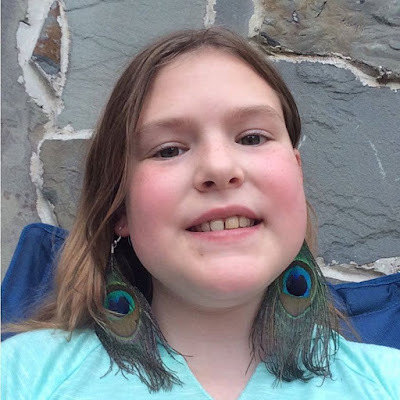 She has a nice pair of peacock hair clips that she already was given a year or more ago, so getting these earrings made her say hey they look like my hair clips. Sure enough they are both from the same company. Awesome, because they have lived up to lots of use over the time she has had them. Growing up when I was a teen I always wanted my hair died to look like feathers. To me these earrings are even better because they blend in with your hair and can be taken off or on when the mood strikes. These earrings were handcrafted like many of the items I see on their site. This means a bit of love have gone into each pair. 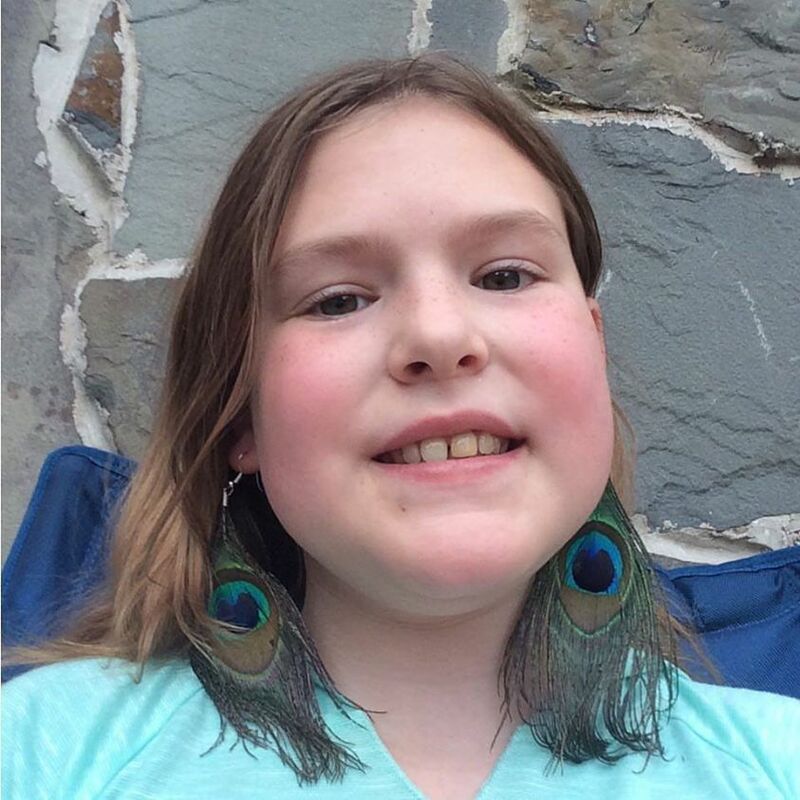 The Peacock french hook earrings can be found at my affiliate link below. Disclosure: MarksvilleandMe received one or more of the products mentioned above as part of a promotion with Tomoson and Kisspat. Regardless, MarksvilleandMe only recommends products or services we use personally and believe will be good for our readers. Some of the links in the article may be “affiliate links.” This means if you click on the link and purchase the item, I will receive compensation. If you would like MarksvilleandMe to review a product or service please contact us at marksvilleandme@gmail.com.